The only time I audibly sobbed was when Snape died and during his memories. I was pretty much crying constantly through the whole movie, but I only sobbed then, and once when I saw Remus and Tonks holding hands even after they were dead. All in all, I thought the movie did BRILLIANT justice to the book. I adored it. And I'm glad to know that Hogwarts will always be there to welcome me home. I feel the same way...I cried SO hard during the Snape scene. He went from someone I despised at the beginning of the series to someone I adored. Talk about strength of character. Yeah, I pretty much bawled like a baby. Hogwarts will always be home. Alan Rickman killed it! He's amazing. 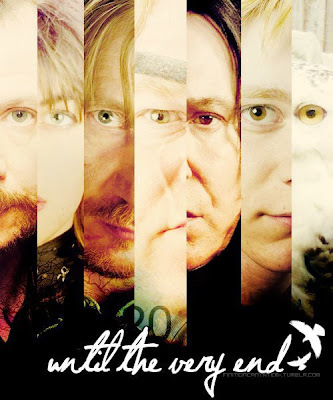 I honestly didn't cry much...I got all teary-eyed when Harry went into the forest and brought his parents, Sirius, and Remus back though, especially when he asked Sirius if it hurt to die. SO SAD. I agree though...Alan Rickman did an amazing job. It was wonderful. Based on this post, you might be interested in my new project...check out my blog for the post!! Feel free to spread the word if you can. I just got back from seeing the last one. I was behind, so I watched the last three right in a row over the past two days. This last one was really wonderful--beautifully directed, emotional, and exciting. I almost wish Yates could have done all of them. There was lots of applause and cheering in the audience I was in! Once I'd recovered from that (I take a long time to recover) it was the epilogue! Who couldn't cry during the epilogue? I'm younger than most bloggers, so Harry Potter has literally been my whole life! I can't remember a time when Harry Potter wasn't there for me to lean on! Harry Potter has always been my best friend! I loved it! The Snape scenes made me cry, but like Lauren (Shooting Stars Mag), I cried more when Harry saw his parents, Sirius, and Remus. 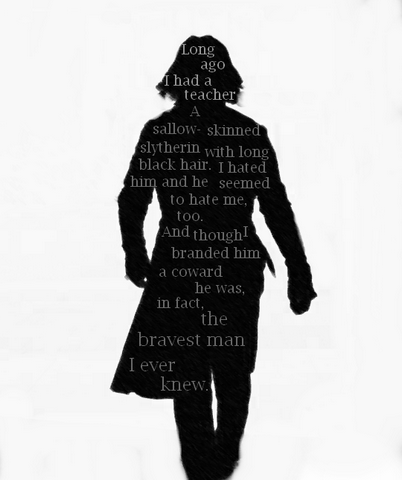 Cried like a little girl when Snape was murdered. His memories were even worse. An amazing series that has touched millions of lives. I love it. O I just saw it. I'm with you, I loved it. I spent half the times with goosebumps/chills and the other half crying. PS Love the images you chose!